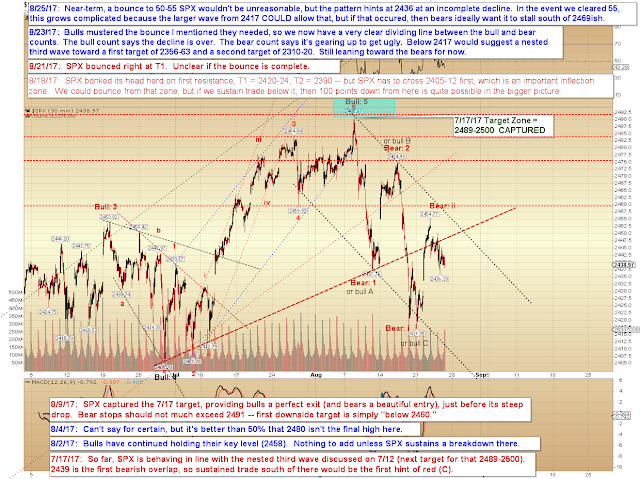 There's no change since the prior update, so we're just going to look at SPX and its near-term options. 1. The low at SPX 2436 is a b-wave, which would see us rally toward 50-54 before reversing back down to break that low (including the potential for several days of up/down/up/down around those two extremes). 2. 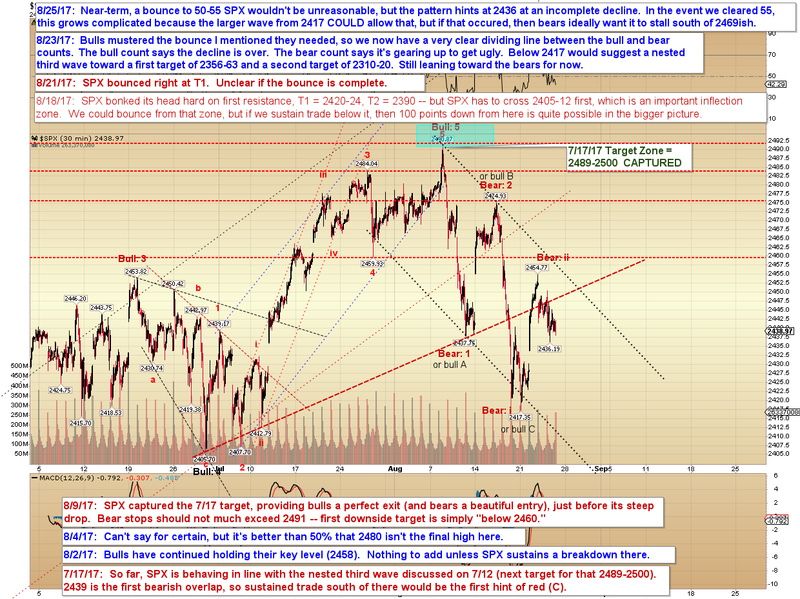 SPX heads lower more directly, thus suggesting either a micro bear nest lower, or an ending diagonal nearing completion. A rapid and sustained breakdown would suggest the former. In conclusion, my near-term preference is for one of the two numbered options discussed above the chart, both of which imply an incomplete near-term decline. If bulls pull out a near-term surprise here, then things will become a little more challenging, at least initially And of course there's Fed Speak today, so that should keep everyone on their toes (except for Janet, who has no toes per Federal regulations). Trade safe.